I know I’m a couple of days early but I doubt I will finish anything else before the month ends. 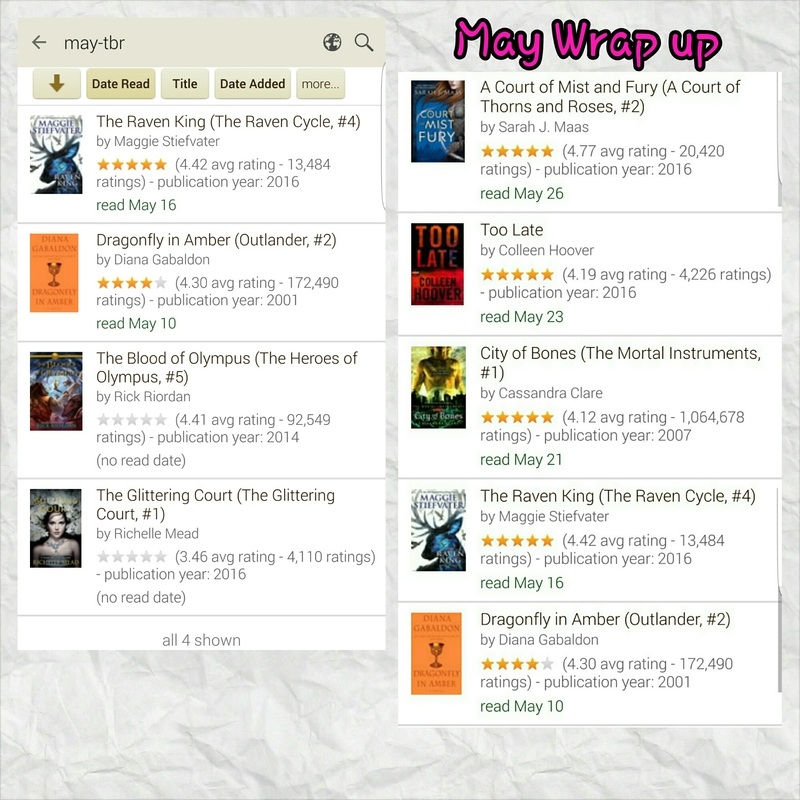 This month I thought it would be interesting to compare my TBR to what I actually read. The good news is I read 5 books in stead of 4 lol. City of Bones was a re-read for me (I want to re-read all of the Shadowhunter series this year). Did you read any of the books on either list? If you did what were your thoughts? Happy Reading Y’all!!!!! !